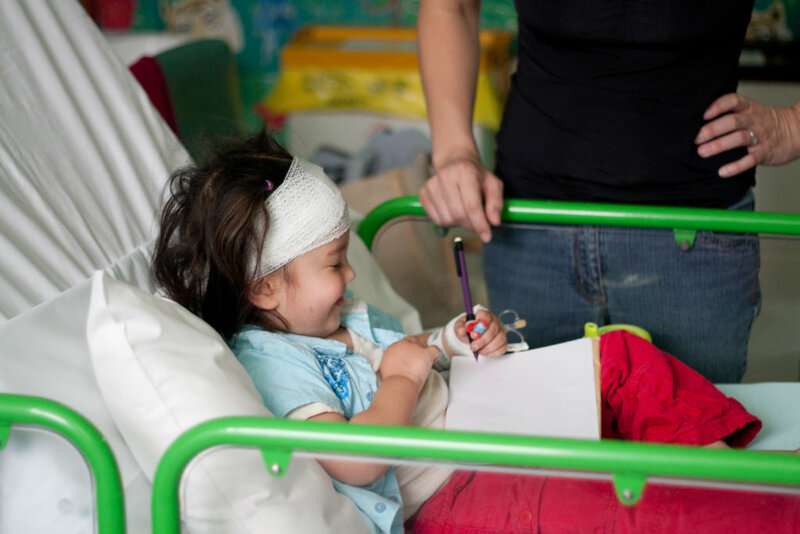 Rainbow Trust supports families who have a child with a life threatening or terminall illness. Our teams of care workers provide emotional and practical support of the whole family - the sick child, healthy siblings, parents/carers and the extended family. Support is offered within the family's own home, at hospital, at school and in the wider community and is given 24 hours a day, 7 days a week, 365 days a year. The pressures on a family with a terminally ill child are extreme. Siblings often feel left out and neglected as the attention of their parents, family and friends focuses on their sick brother or sister. They often believe they have done something bad to cause this imbalance and feel frightened about what is happening around them and of what the future holds. They can become angry, withdrawn and resentful and school work can be severely disrupted. Rainbow Trust provides emotional and practical support to 1,200 families per year - supporting not just the sick child but also the healthy siblings, parents, carers and extended family members.